Homeopathic injections vary slightly from homeopathic cosmetic injections in that they focus on other parts of the body besides the face. 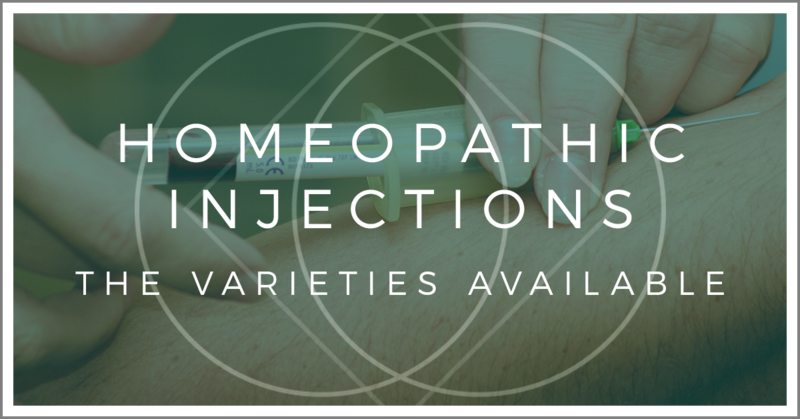 Homeopathic injections are a natural way to treat and manage minor pain and discomfort. They are administered with an injectable substance that gently coaxes and supports the body into the healing process. Who is the ideal candidate for homeopathic injections? Any person who suffers from pain and discomfort can benefit from this natural healing approach. Whether you’re an athlete or someone who suffers from an autoimmune disease, these injections are beneficial. While every person requires something different in their healing path, a series of treatments is always recommended to further guide the healing process and balance your body. Talk with your health care practitioner for a treatment plan. What types of homeopathic injections are available? Trigger point injection therapy is valuable for patients who experience knots and tightness in their bodies. The injectables are infused at the site of the tender and painful area — for example, a specific spot in the shoulder or trapezius. Not only will the injection better modulate inflammation, but it will provide mild relief. Neural injection therapy involves an injectable that is not in a specific area, but rather into smaller muscles and supportive connective tissues, joints, tendons, and ligaments. It provides pain relief for those who suffer from both chronic and acute discomfort. What conditions do homeopathic injections support? What are the substances that are injected? Trumeel and Engystol are two of the widely used injectables in homeopathic injection therapy. This is a blend of herbs and mineral that support inflammation modulation to support your body in its healing process. A traumeel injection is a natural and safe alternative corticosteroid. This injection supports the immune system to better fight off cold and flu symptoms. This injectable has been dubbed the “natural flu shot” that can assist your body if you’ve been exposed to sick people, if you travel a lot, or are feeling like you’re coming down with something. Both are homeopathic remedies that support your body in health and healing!